If you’re tired of fuel delivery problems, Aeromotive has the fuel system solution you’ve been looking for. Designed to provide outstanding performance through matched component selection and correct installation, these systems offer the results only years of engineering experience can provide, while eliminating confusion, wasted time and unnecessary expense. 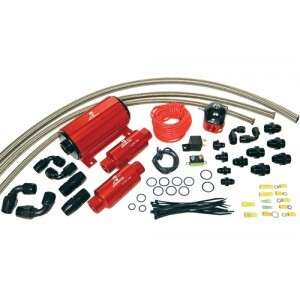 This system includes everything needed for a complete Aeromotive system installation in a carbureted application. All systems include fuel pump, filters, regulator, port fittings, stainless steel braided hose, hose-ends, wiring and installation hardware. If you’re tired of fuel delivery problems, Aeromotive has the fuel system solution you’ve been looking for. Designed to provide outstanding performance through matched component selection and correct installation, these systems offer the results only years of engineering experience can provide, while eliminating confusion, wasted time and unnecessary expense. 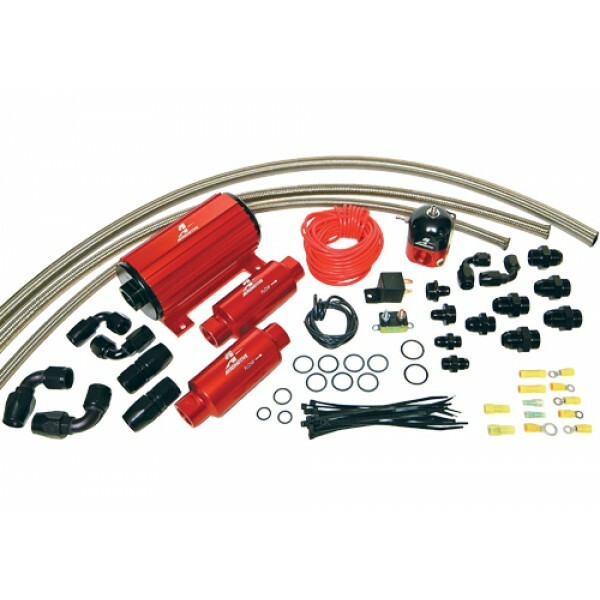 This system includes everything needed for a complete Aeromotive system installation in a carbureted application. All systems include fuel pump, filters, regulator, port fittings, stainless steel braided hose, hose-ends, wiring and installation hardware.